Not many people enjoy going to the dentist. While going for a checkup is certainly recommended as part of a healthy and happy lifestyle, it can be a daunting experience for some. However, just because you’re afraid of going to the dentist doesn’t mean you have to miss out on the very best treatment. At Smile Concepts, we understand the anxiety our patients sometimes feel. It’s perfectly normal. That’s why we offer sedation as a safe option for those who would rather be in a relaxed and drowsy state for their treatment. You’ll be awake the whole time, but unaware of the treatment you’re undergoing. Are there any risks to sedation? During the procedure, your pulse, blood pressure, heart and oxygen levels will all be closely monitored, ensuring your well being above all else. While it can take some time for the effects of the sedative to wear off, you’ll be advised by an expert team on when it will clear from your system. 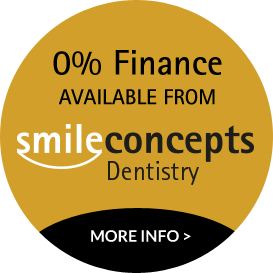 Sedation at Smile Concepts is handled by Dr Matt Rootkin-Grey, Consultant Anaesthetist. Under Matt’s watch, all our patients receive the utmost safety and care. For more information about sedation dentistry in Solihull Birmingham, or to arrange a consultation with a professional dentist, contact us today.